New Yorkers tend to be a little opinionated about pizza, even when it comes to the legacy of $1 slices. So expect nothing less than the world's finest at this epic throwdown on Crescent Avenue, just near the Bronx's own Little Italy. 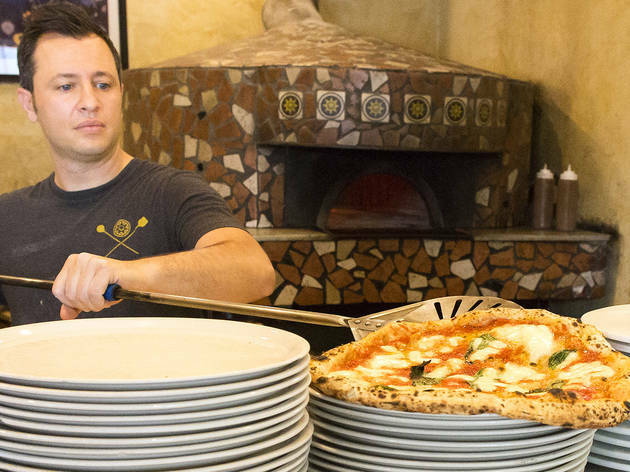 The first annual edition of the festival features over 25 US and Italian pizza masters, among them local favorites like Di Fara Pizz and Zero Otto Nove. The festival will bravely expose New Yorkers to the best pizza of other regions, including North Carolina's Mission Pizza Napoletana and Connecticut's Brick + Wood. This two-day fest is not to be confused with 2017's New York City Pizza Festival, which left many guests asking for refunds after they had to face long lines and cold slices. Of course, you can count on plenty of beer and wine to wash it down and live bands to entertain you between slices. Now that's amore.